Hey all, we made it through Monday! High fives all around! And then a few random doo-dads from (clockwise from the left) the Salvation Army Family Store on Nicollet, Empty the Nest (yes, again) and the New to You Thriftique on Highway 55, which I visited over my lunch break last week. Of all my buys, I’m most stoked about the hair dryer, with the granny sandals coming in a close 2nd. (Wearing them is like walking on a cuddly little cloud!) 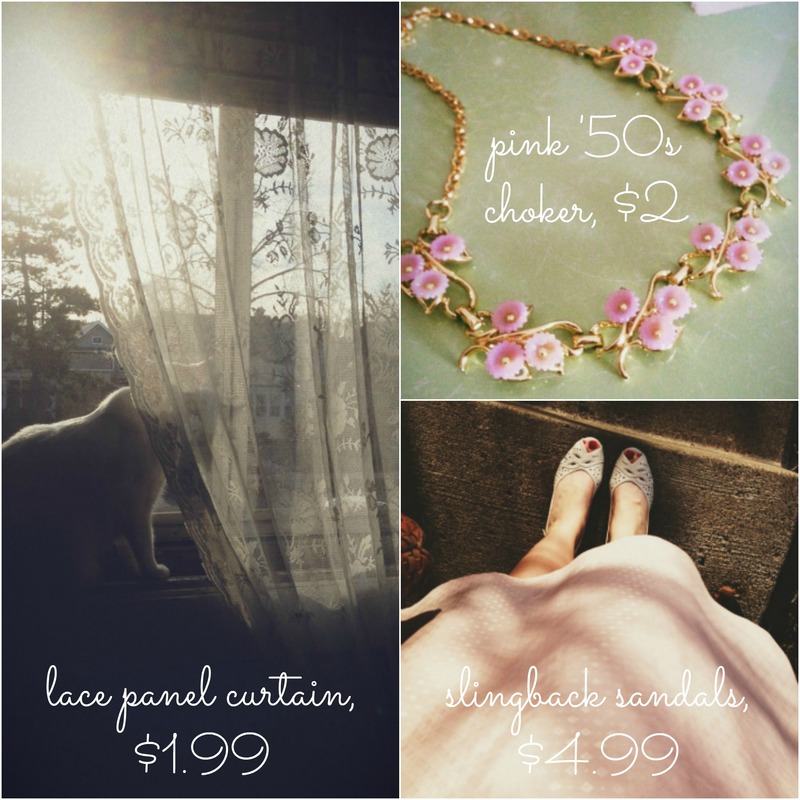 Have you thrifted anything recently that’s brought you a bit of comfort, surprise or delight? If so, I’d love to hear! 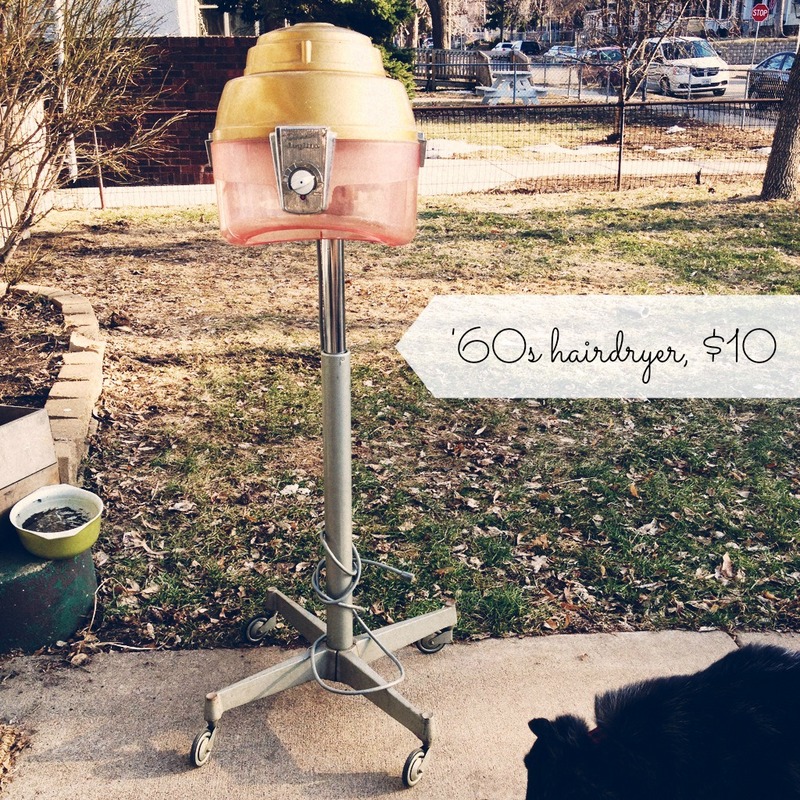 This entry was posted in Uncategorized and tagged betty crocker, Burnsville, golden valley, hair dryer, minneapolis, retro, thrift-store shopping, thrifting, vintage, vintage hair dryer by highplainsthrifter. Bookmark the permalink. 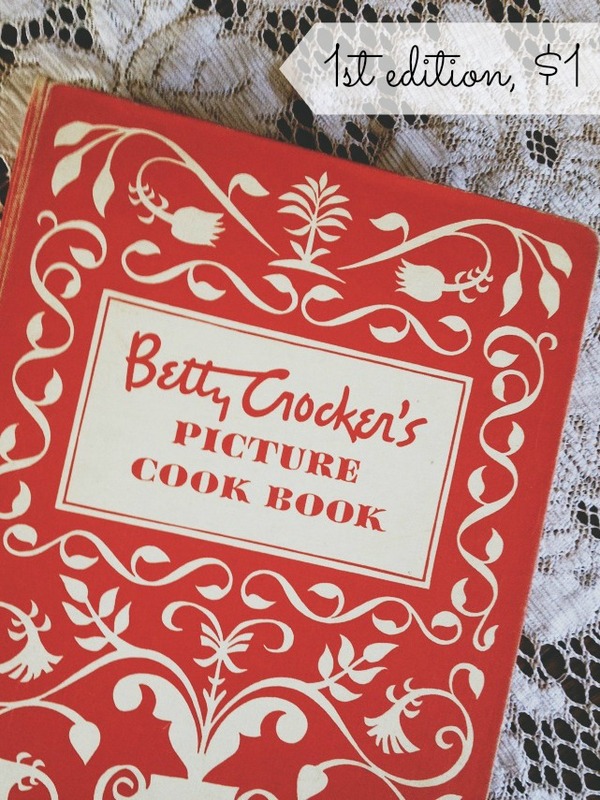 People will really appreciate the thrifty collections which you have shared through your post. The 60’s hair dryer, lace panel curtain and the granny sandals are really amazing. While searching for some new collections of wall stickers I got a few latest and beautiful wall stickers from an online thrift store. Shoppers will not only get these vintage finds at cheap rates but will also experience a quick, convenient and safe shopping.